In the months leading up to the release of Star Wars: Episode VII - The Force Awakens, fans were generating countless theories about the film's events, most of them dealing with possible relations between the new characters and the returning heroes of the original trilogy. Lucasfilm president Kathleen Kennedy referred to Star Wars 7 as a generational story, which only lent credence to the belief the film would focus on family ties. That hypothesis turned out to be true, as villain Kylo Ren is revealed to be the son of Han Solo and Leia Organa, Ben Solo. Perhaps somewhat surprisingly, Ben was the only confirmed Skywalker descendant featured in The Force Awakens. Many had expected the parentage of protagonist Rey would be revealed at some point in the film, but when the credits rolled, moviegoers knew almost as much about her origins as they did when the first trailer hit in November 2014. 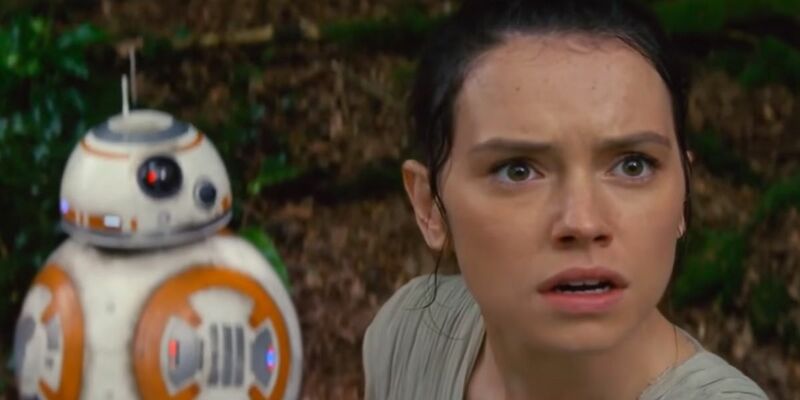 It's clear now that Lucasfilm is saving some surprises for the upcoming installments of the sequel trilogy; Force Awakens director J.J. Abrams teased that he knows "quite a bit" about where Rey comes from, but maintains that it's no longer his story to tell and he'll be keeping his secrets. With so many hypotheses surrounding the matter, Lucasfilm is under a tremendous amount of pressure to deliver a fulfilling backstory for their young heroine. If they don't, the entire saga could collapse under itself and the years of buildup will have been for naught. Fortunately for fans, the studio is aware of how important this aspect is, and they're working hard to make sure the end result is worthwhile. "We're going to make sure that that answer is deeply and profoundly satisfying. Rey is a character that is important in this universe, not just in the context of The Force Awakens, but in the entire galaxy. She deserves it. We'll make sure that that answer is something that feels like it was something that happened a long time ago, far away, and we're just telling you what happened." There are a couple of ways to perceive this quote. Trevorrow's usage of the term "we're" is a little ambiguous. One possibility is that he's referring specifically to his Episode IX team, and fans won't learn who Rey's parents are until the conclusion of the sequel trilogy. Of course, the director could be talking about Lucasfilm as a whole, since the various creative talents are working together to flesh out the larger picture of the franchise. This seems like the more plausible scenario, since Rey will be spending parts of Episode VIII with Luke Skywalker, who according to the Force Awakens script knows who Rey is upon seeing her in the final scene. Regardless, it's promising to hear that Lucasfilm understands the magnitude of Rey and what she means to the series as a whole. She's being positioned as - ahem - a new hope for the Jedi Order after Ben Solo turned evil and sent his family into chaos. 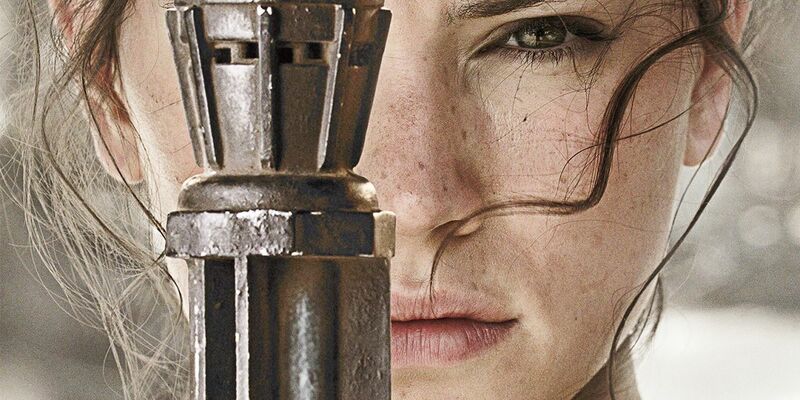 The sequel trilogy will essentially tell her story, and if Lucasfilm doesn't completely nail each and every aspect about the character (including the backstory), the promising start they created in The Force Awakens will stall out, derailing the positive momentum the franchise is currently riding. Trevorrow could be playing with fire by using words like "deeply and profoundly satisfying" to explain the answers about Rey's history. In the case of massively anticipated movies like Star Wars, millions of different people create their own ideas, and sometimes if the final product doesn't play out the way they wanted it to (no matter the artistic merits), they'll feel the film was disappointing. Lucasfilm has to walk a fine line when handling Rey moving forward, managing the expectations of the fans with what best serves the story they are trying to tell. That said, there probably isn't a studio in Hollywood better equipped to deal with that kind of pressure than Lucasfilm. The Force Awakens was the subject of much scrutiny, and while there are a few naysayers out there, a majority of moviegoers enjoyed the film and all it had to offer. They seem to have a firm grasp on what it takes to tell compelling narratives in a galaxy far, far away, meaning that for now they've earned the benefit of the doubt and fans should trust them to deliver on all fronts.